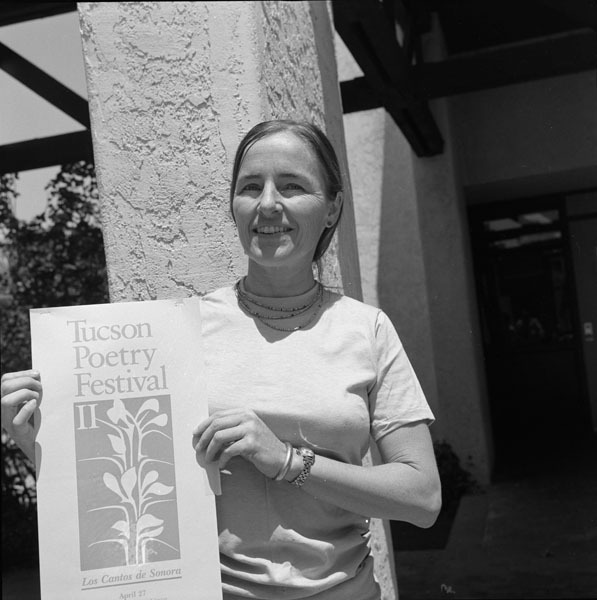 Poetry Center employee Ila Abernathy holds a sign at the 1984 Tucson Poetry Festival in Tucson, Arizona. Ila Abernathy, 1984. Photograph by LaVerne Harrell Clark. Courtesy of The University of Arizona Poetry Center. Copyright Arizona Board of Regents.